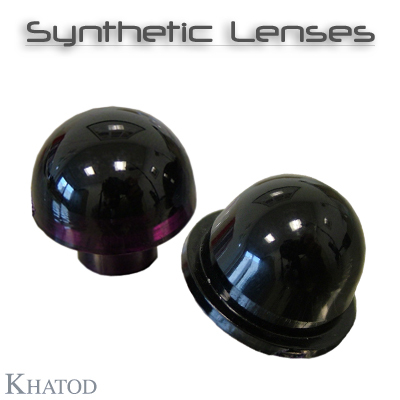 Synthetic Standard Lenses molded using different materials: PC-IR and PMMA-IR, each one has a specific Refractive Index, Density, Deflection Temperature and Transmission Factor. Standard Diameters are from 3 to 20 mm, other dimensions available on request. More than 300 standard lenses on catalogue. Suitable for many applications: interface with LEDs, photodiodes, phototransistors, lighting systems, display, infrared for security systems and thousand of other applications.